In Prineville, you will find the top-notch medical services you would expect from a much larger city, coupled with the quality and personalized attention that you can only find in a small town. The new 62,000 sq. ft St. Charles Prineville campus, located just minutes from IronHorse, offers a wide range of patient, family and visitor services, including primary care and specialty care clinics, Emergency Department, Lab, Radiology and Rehab. St. Charles Prineville is leading the way as St. Charles Health System transitions from a medical model to a team-based, integrated patient-centered care model. Education is a priority for this small community and local support is reflected in various ways throughout the school year. 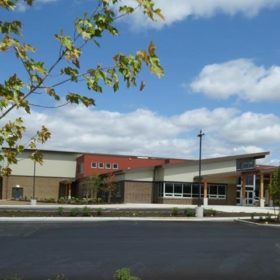 Prineville has one middle school and one high school, as well as two elementary schools, including Barnes Butte Elementary, located in IronHorse. Prineville’s origins are tied to the land in agriculture, forest products, the railroad, and manufacturing. 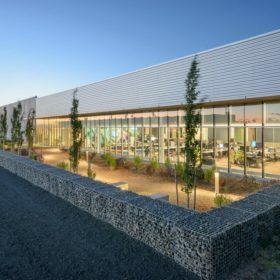 Now home to Facebook and Apple, community leaders are united in their efforts to grow and diversify Crook County’s economic base, assuring long-term vitality through the creation of family-wage jobs. For a small community, Prineville has a lot of things going for it that make it an attractive locale for economic development and diversity. The city boasts over 2,000 acres of industrial land, much of it ready for development, and a large supply of electric power. With an enterprise zone and a renewable energy zone in place, Crook County offers tax incentives to qualifying companies to help offset the cost of doing business. Other state programs are also available, including the Strategic Investment Program, which offers income tax abatement. Recent upgrades to the telecommunications infrastructure offer companies with certain technology requirements the opportunity to consider Prineville. Four different companies offer commercial and resident services with business class fiber, high speed access, and WiFi.